Like most aspiring dog owners, before I actually had a dog I used to indulge in the odd reverie about our wonderful future life together. I had visions of us playing catch in a sun drenched meadow on a warm August afternoon. I imagined us kicking up a pile of crisp autumn leaves and leaving cute paw and foot prints in the winter snow before heading home to snuggle on the sofa. Having grown up with a Springer Spaniel, I wasn’t entirely naive, but I suppose part of me choose to block out one of the not so welcome seasonal realities: Mud. 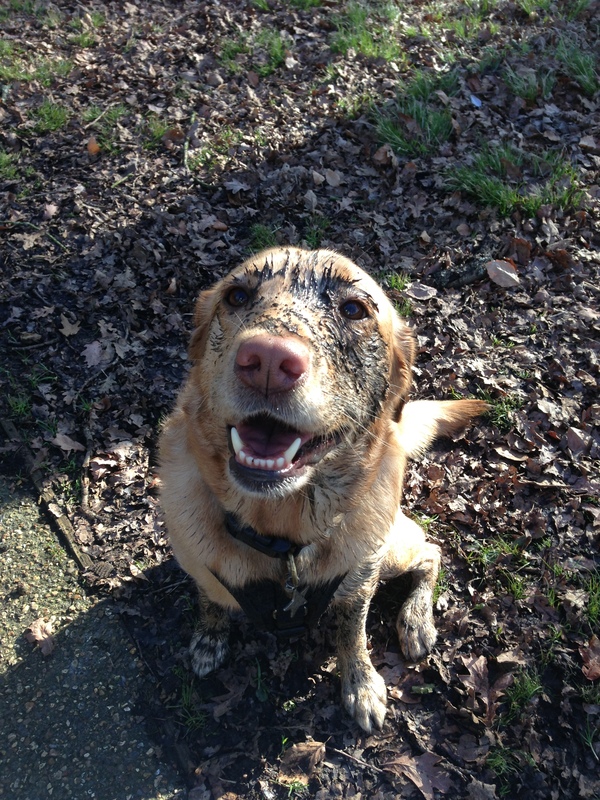 If you’ve not got a dog and you’re thinking about getting one, please, hear me now: They will get muddy. You will get mud: in your house; in your car; on your clothes and more often than you’ll care to think about, on your face and in your hair. You will have an almost daily routine of wiping mud off the walls, radiators and any small children who may happen to walk past. 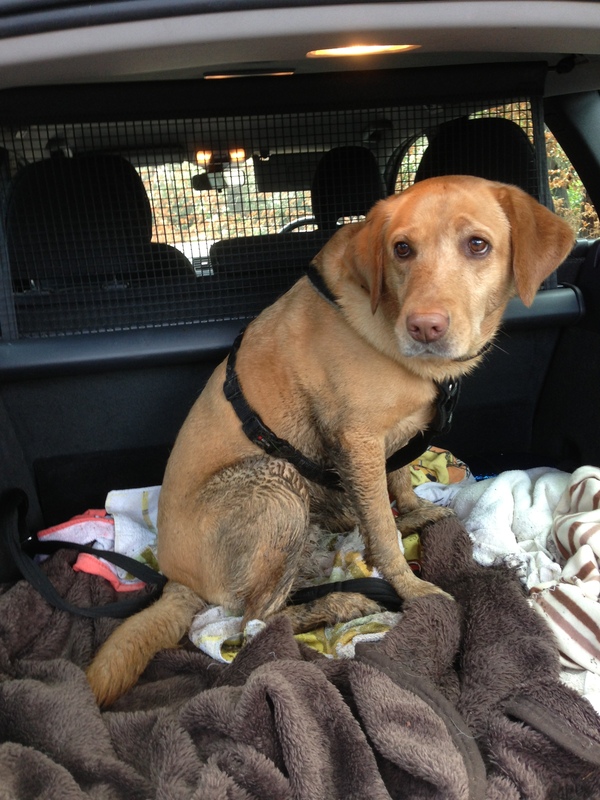 Your pile of dog towels will quickly outweigh the human ones, your washing machine will work overtime and in the winter months, you’ll start grading your walks not on how enjoyable they are, but on how muddy its likely to be. Who chose the cream tiles? Our battles with mud are exacerbated by some pretty unpractical home decorating choices. In answer to the question ‘Which idiot chose cream floor tiles, white walls and a light beige sofa?’ I have to foolishly raise my hand. 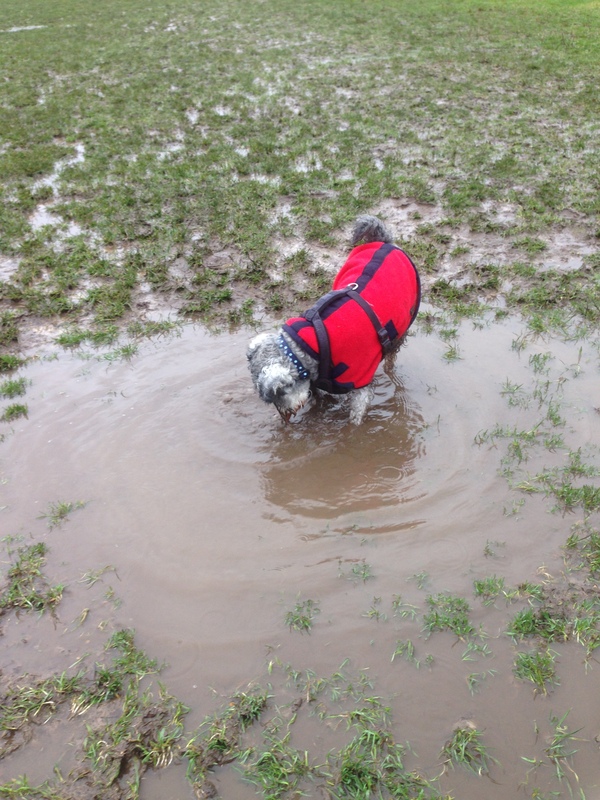 In my (feeble) defence, I made those choices when we only had Little Bear and as much as he loves paddling in puddles and rolling in cow pats, he’s not a big fan of deep mud. But then of course, we got a Labrador. Annie is a mud magnet. She’s the Labrapotomous of the dog world and loves nothing better than getting caked in the stuff from nose to tail. In the Forest she’ll find the deepest, dirtiest, stinkiest puddle and fling herself into it with the wild abandon of a lemming on a cliff top. She emerges beaming as if she’s just won the lottery and annoying as it is, we don’t have the heart to stop her fun. But even on a road walk, she has an amazing ability to attract mud and will invariably return home with dirty paws, legs and tummy. We’ve made some practical adjustments at home, including installing a new door to give us direct access to the garage from the house. This means we can bring the dogs in through the garage, avoiding the daily splattering of mud up the walls of the hallway. It also gives us more room to do the towelling off. I’d be lying if I said that dealing with constantly filthy dogs is much fun. But here’s the rub: when we took on our dogs it was to give them the life they deserved. And we made that commitment for life. We knew there would be compromises along the way and a pristine home is just one of them. What we get in return though far outweighs the inconvenience and of course, we still have those sunny August afternoons to look forward to.